BOP ON TREND: Holiday Swag. This holiday season it's all about menswear. Though as I write this I am actually sitting in a black long-sleeved turtle neck dress, I have always been one to opt for pants over dresses or skirts. 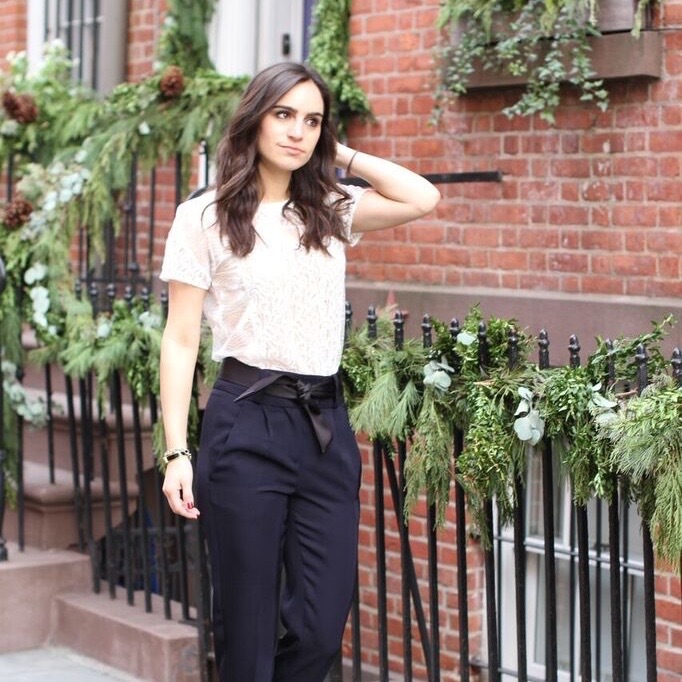 I found myself a few weeks back looking for something to wear for our engagement party and after trying on countless combinations of dresses and skirts, I fell in love with these tuxedo pants by Sandro Paris and love how the lace feminine detail in this Maje top balanced out the look. Also, shout out to Ashley at Bloomingdale's for helping to pull this look together!